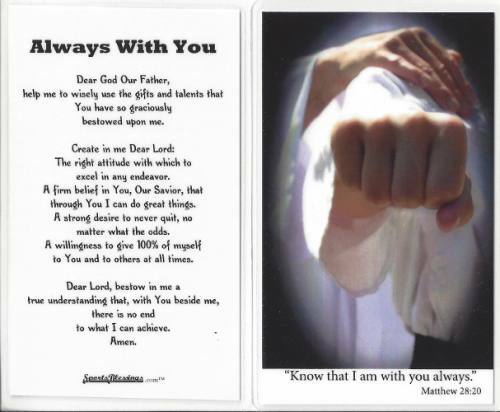 A handy reminder of faith and devotion, this Sports Blessings' Holy Card features a vivid full color graphic image on the front, with the Sports Blessings' "Always With You" prayer on the back. Each card is heat sealed and fully laminated. Also available in packs of 25 for teams, banquets, or any large need.